How to use a walker correctly is a question that a lot of people just like you have. It’s not that using a walker properly is all that complicated. But, there are a few things that most people don’t take into consideration when they first start out. One of the first things to consider is making sure that the walker is adjusted correctly to your height. When you’re adjusting the Walker what you would want to do first is make sure that the height of the handles reach the bend of the wrist. You do this by standing as upright as possible (some people have better posture than others) in a natural way. Don’t stand at an exaggerated “military attention posture” if this isn’t how you generally stand. Then just raise or lower the walker legs so that the handles are at the bend of the wrist. If your height or the size of the walker prevents this, then just adjust as near to this position as possible. It may be that you need a walker that is made more for your size if you are not able to adjust it near to the proper height. Once you have it at the right height, walking safely is a matter of what we refer to as “sequencing” in the physical therapy profession. Sequencing is the combination of advancing the walker and which foot you step with first. For those with a weak or painful leg, the proper sequence would be 1) advance walker, 2) step forward with the sore or weak leg, 3) follow with the better, stronger leg, 4) repeat. You may hear physical therapists say “walker, bad foot, good foot”, when they are teaching someone to use a walker after a hip replacement, knee replacement or stroke. The idea around moving the weaker leg first is that you’ll be in a better position to bear your body weight on your arms when stepping with the better leg. You may have to start out slow, but, it gets better with practice. 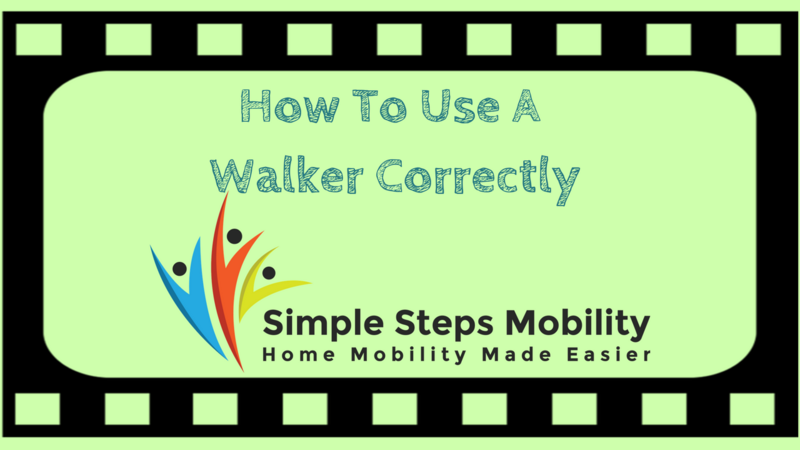 The video below goes over briefly how to use a walker correctly. If you would like to listen as you practice, click the link below.